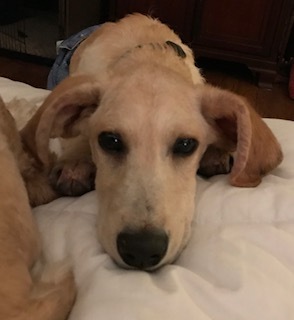 Milo is a 4 – 5 month old puppy who came in from a shelter in South Texas. 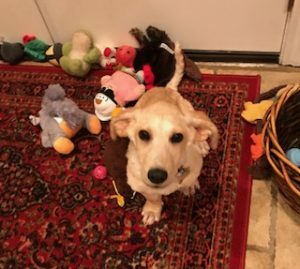 He is a bundle of fun and loves, loves, loves his toys! 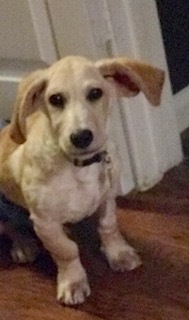 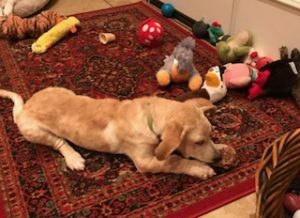 He entertains himself with toys and chews and loves an occasional romp with the resident kitty in his foster home.